Circus art is quite a new phenomenon for the Ethiopian public. 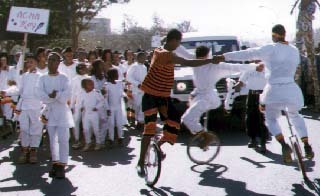 Although it has been long practised in the Far East and in the West, Ethiopians have understood the idea of circus only recently through the media. However this does not mean Ethiopians are not exercising some act of circus in their daily lives . As an example of this we can observe nomadic women doing balancing, as they carry buckets of milk or water on top of their heads without any support while walking or doing some other rhythmic movement. 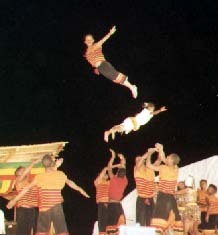 In southern areas as well, during festivities acrobatic and aerial sumersaults take place. What had not been developed with these physical feats is the idea of art itself - art as an activity of discovery and creation working hand in hand with the rich folklore of our cultures. Circus in Ethiopia ( CIE) was legally established in 1993 with a view to introduce circus art in Ethiopia. Ever since its creation CIE has given new dimension to circus art in Ethiopia but as well internationally. By blending the art with the Ethiopian traditional costume , music and dance, CIE with its associative approach has inspired many circuses to grow throughout Ethiopia. This is probably why we are often referred to as ''The Booming Circus''. Presently more than 15 circus troupes have been established in as many towns across Ethiopia. 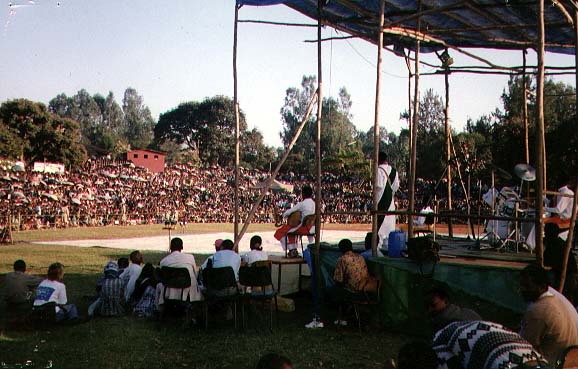 The growth of the circuses under the guidance of CiE has created the need to meet and exchange ideas and skills between the more than 800 youth and trainers involved.In February 1997 the first Ethiopian Circus Festival was hosted in Jimma town by Circus Jimma. In this major event six circus troupes pulled together their talents and spirits into one to celebrate the existence of the circus movement. More than 200 artists, musicians and trainers participated in a five day event which was attended by over 60,000 people. In February 1999, the second festival was held in Nazareth town and hosted by Circus Nazareth. The Festival represents a great contribution of volunteer participation from the community at large. The Festival is a community effort to promote an important event for Nazareth and as well to promote the cultural vitality of the city for the future. At every level a strong show of participation and enthusiasm was created in the aura of the event by bringing together many associations and organisations in the realisation of the festival. The audience experienced a great moral and spiritual satisfaction with this cultural event . 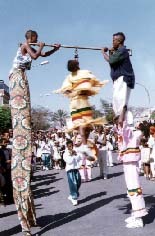 Participants for the 1999 Festival were drawn from the four Branches of CiE namely Circus Ethiopia from Addis Ababa, Circus Jimma from Jimma, Circus Tigray from Mekele and the host Circus Nazareth from Nazareth.From the East of Ethiopia, and Circus Dire Dawa, an Associate Member of Circus in Ethiopia, participated in the festival as a major participant. Seven other new circuses based in the towns of Awasa, Desse, Debre Berhan, Bahir Dar,Arsi, Harar and Wolkite had a level of participation so as to share experience with the rest of the participants. The new Circuses each sent eleven performers or more to the festival. 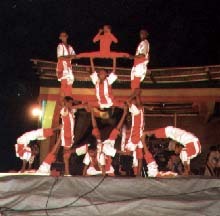 The circus shows featured different messages including the Principles of the Red Cross , issues around street children , basic health matters , AIDS prevention, etc... As in the first circus Festival held in February 1997 in Jimma, more than 10,000 spectators attended the free events every day . 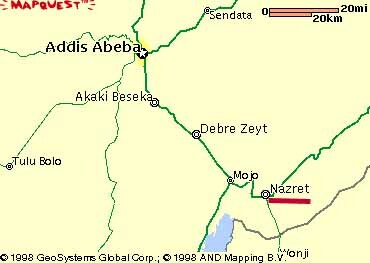 The festival was held in Nazareth town about a hundred kilometres to the South from Addis Ababa, the Capital. The venue was the main stadium in the centre of the town. 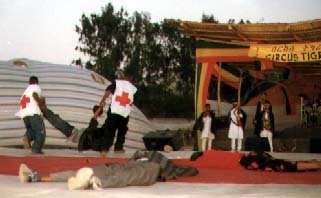 of the Red Cross in their performance. 1- Circus shows by Circus Ethiopia, Circus Nazareth, Circus Jimma , Circus Tigray, Circus Dire Dawa and short presentations by circuses from Arsi, Wolkite, Desse, Awasa, Bahir Dar, Debre Berhan and Harar. One major circus presentation and musical show per late afternoon and throughout the evening. The entire event was presented free of charge to the population. Presented by the circus bands of Circus Ethiopia, Circus Jimma, Circus Nazareth, Circus Tigray after the circus presentations. Skill demonstration to the public in the venue by all circuses . 4- Workshops for and among circus participants. Trainers from the 12 Circuses devised schedules to allow the circus youth to exchange and teach each other skills they have developed. On the opening day , a parade was held around town. 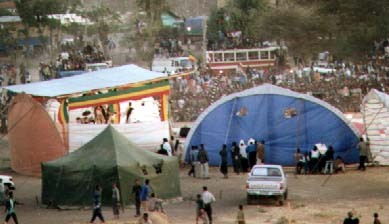 The festival was televised in its entirety on Ethiopian Television as a highlight for all Ethiopian Viewers. Besides the electronic media, the festival was also be the focus of Ethiopian publications and news papers. This media coverage coincided in time with the heavy armed clashes at the border of Ethiopia and Eritrea. 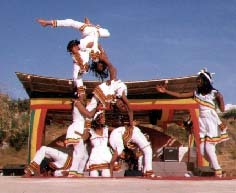 The next Ethiopian Circus Festival will be held in February 2001.